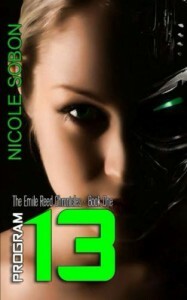 Program 13 - Nicole Sobon - review - The YA Book Blog! Disclosure: I received a free copy of this book for a blog tour in exchange for an honest review. I read the prequel novella to this story - Program 12 - and really enjoyed it, so I was super excited at a chance to participate in the blog tour for Program 13! The book tells the story of Emile Reed, who has died and been brought back to life as a "Program". Charles McVeigh of Vesta Corp is determined to create the perfect race of human looking computers, and he has his eyes set on Emile, or Project Thirteen as she is now known. The book jumped straight into the action which I loved! There's a quick prologue where we get to see how Emile was killed and became a Program. I really liked the world building at the beginning of the story and how the idea of Programs was explained. The opening of the story shows Emile living as Program Thirteen inside Vesta Corp and surrounded by scientists. I'd been craving more sci-fi before I started this book and so I enjoyed getting completely wrapped up in the way the Programs worked. The pace kept up as the rest of the story starts to unravel and it quickly became clear there was a lot more going on. I was completely hooked because there were so many characters I was curious about and whose motives I wanted to delve into. There's Program Thirteen herself, who is clearly something special judging by the reactions she gets from scientists. Then there's her caretaker Hayden who seems determined to help her and the evil Charles McVeigh who made a fantastic villain. As the book moves on it changes pace and becomes a real survival tale with Emile on the run. I definitely enjoyed that different feel to it, plus this is where we get to meet Colton who I found to be a fascinating character with a great back story. I loved the bonding between him and Emile, because they're both trying to escape their lives so they have that in common. It's far from your typical boy/girl interaction because they're far more concerned with staying alive than anything else, so I liked that it became a really strong friendship. I liked the way Emile's previous life was teased through memories and flashbacks. It helped keep that tension up and also gave you a chance to get to know her slowly. I think books where the character has memory issues can really excel at the world building because you learn everything at the same time the character does, and that was certainly a technique that worked well in Program 13. It was particularly sad reading about her memories of her family and Tommy. I really felt for her as she tried to adjust to her new life. 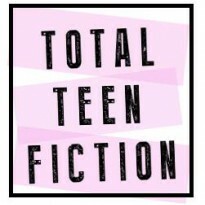 There were parts of the book that felt very much like a thriller which I loved, because it was so refreshing and not something I see a lot of in YA. There were all these action packed shoot outs which were brutal and fast placed, plus I loved all the sneaky, underhand tactics and conspiracies used by Vesta Corp. When Emile and Colton are on the run I had that constant fear for them and the suspense was constantly ramped up. I adored the writing in Program 13 and how all the bits of the story started to piece together. It's not overly long so it made for quite a quick, fast-paced read. I really enjoyed the world the book takes place in, and I definitely look forward to discovering more about it in future books. I think I'd like to know a bit more about Vesta Corp and what takes place there and learn more about some of the other programs. I feel like there's so much potential for the characters. I'll definitely be checking out the next book!